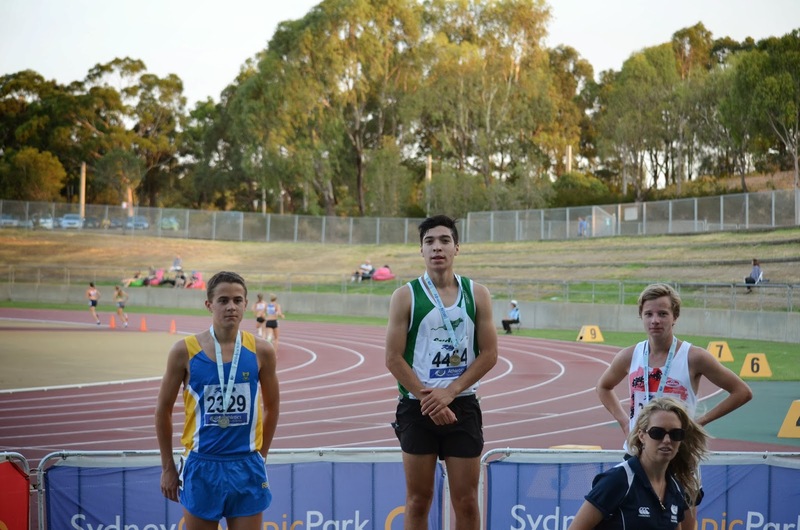 Well done to everyone who competed in our most successful NSW Junior Athletics Championships ever, 7th - 9th February, with 5 golds, 3 silvers and 3 bronze medals. There were also many PBs set and of course National Qualifications. If anyone has more pictures, send them in and we'll put them up. National All Schools Champions Josh Phillips coming back from injury opened our account with a bronze in the Under 16 Boys 3000m in 9.28.62, less than 2 seconds ahead of team mate Lachlan Cooper. Further back, there were PBs for Jack Mills, 9.41.23 and Fraser McKinley 10.19.45. 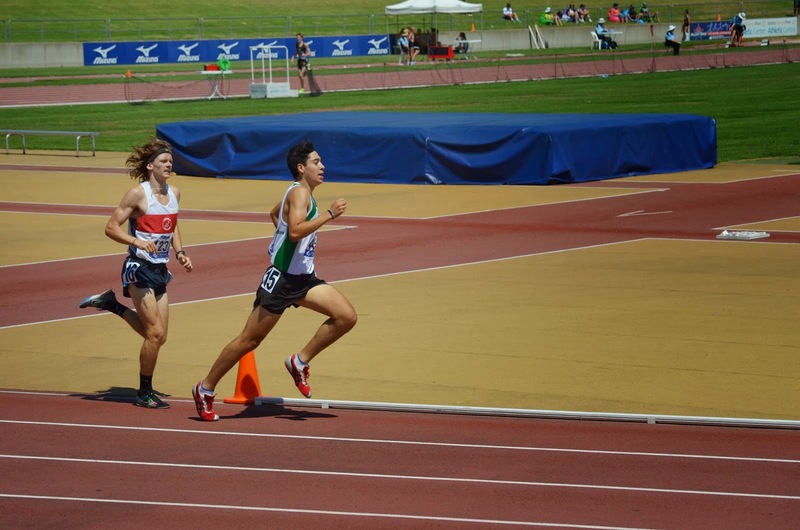 Daniel Fracken (pictured above) won our first gold in the Under 18 Boys 3000m in 9.13.75. Adam Halmy was 12th in 9.57.12. In the Under 20 Boys 5000, David Gardiner was 6th in 16.37.79. 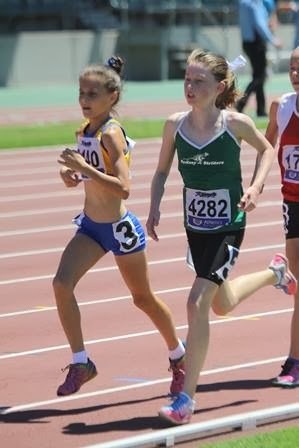 Edita Grinbergs claimed our second gold by winning the Under 14 girls 800m in 2.17.01. Sophie Gocher was 5th in 2.25.87. Lachlan Cooper won bronze in a tightly finished Under 16 Boys 800m in 2.02.21. Liam Gorman ran 2.15.52 in his heat. with Gus Wong in 4th. Beth Murray, our only field event athlete in these Championships was 22nd in the Under 16 Girls Long Jump in 4.13m. In the Under 20 Girls 400m, Bethany Halmy came 5th in a PB of 58.00 while in the Under 14 Girls 200m, Sophie Wickham ran 27.95 in her heat. Edita Grinbergs, arguably the Strider of these Championships won her second gold with her first place in the Under 14 Girls 400m in 59.15. 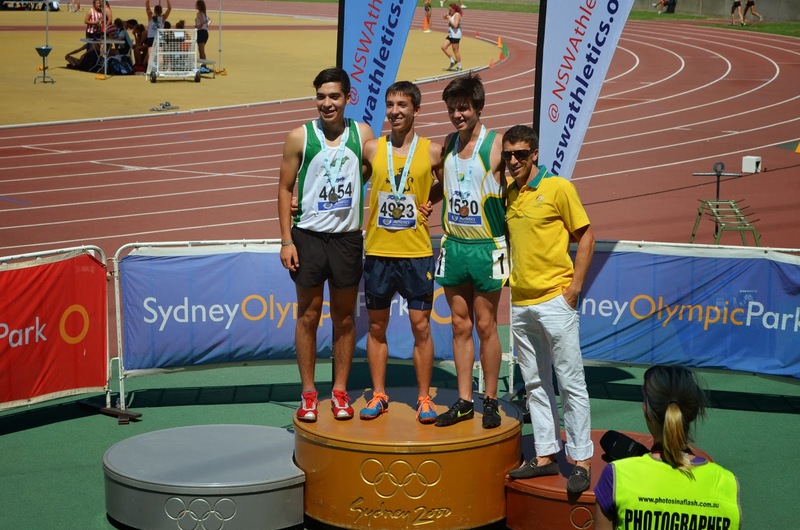 Lachlan Cooper came through strongly to claim gold in the Under 16 Boys 1500 in 4.18.66. Fraser McKinley was 5th in 4.45.55. 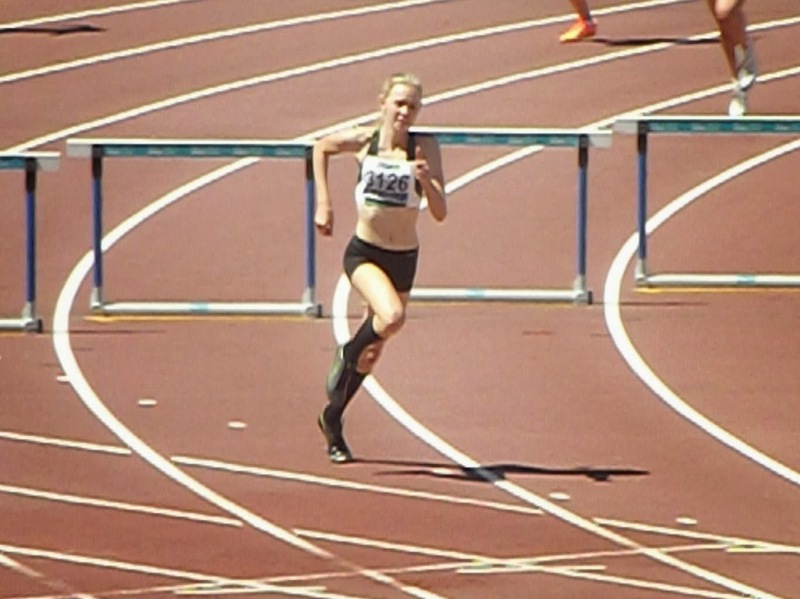 15 year old Tessa Constantine having qualified fastest in the heats of the Under 18 Girls 400m hurdles final, won gold in a time of 1.06.15. Tessa went on to line up not long after in the Under 16 girls 400m, having qualified 2nd fastest in 59.88 earlier in the day. In the Under 20 Girls 800m, Bethany Halmy missed out in place in the final by less than a second in 2.21.55 while Paul Loader came 5th in his heat in 2.04.41 in the Under 18 Boys 800m. 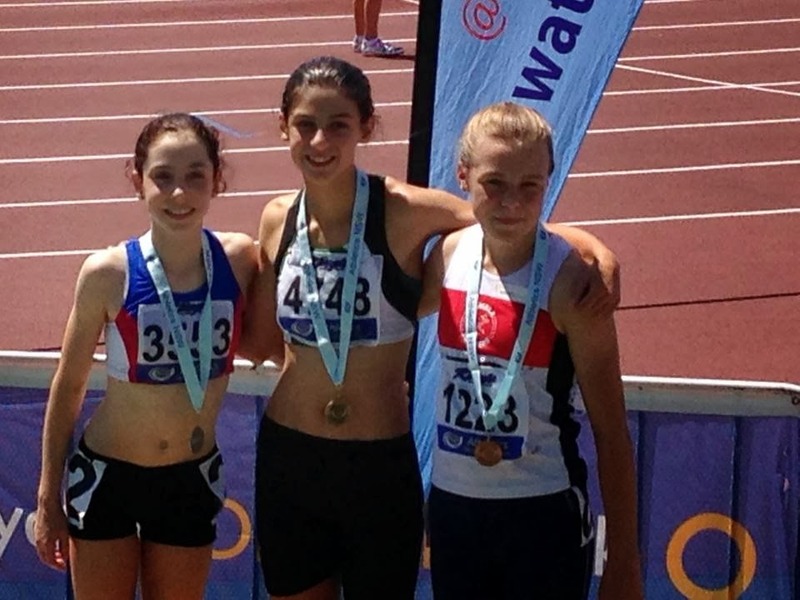 Sophie Gocher was 5th in the Under 14 Girls 1500 in 5.03.31. Sophie Wickham came 4th in 32.90 in the Under 14 Girls 200m Hurdles. 13 year old Liam Gorman came 4th in the Under 16 Boys 2k Steeplechase in 7.01.56 while Jack Mills on his debut in the event came 9th in 7.18.98. Amelia Gorman was 4th in the Under 20 Girls 3k Steeplechase in 12:43. 15 year old Tessa with her gold medal in the under 18 girls hurdles.